A collection of books that I’ve made by using sewing, sticking, cutting and folding techniques. 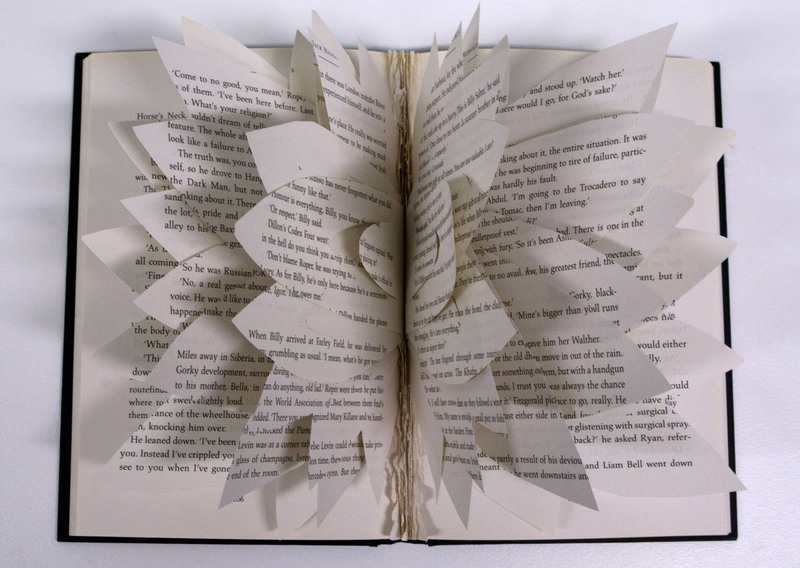 An old book, cut into the shape of a blossoming flower to represent the excitement of opening an unread book. A blank hand-stitched book, made with a plastic folder and different types of white paper. Showing the development of the underground using an accordion book style.